Surrounded by the symbols of powerful symbols, this beautiful golden tara home amulet not only enhance your chi of your home, also protect you when you travel with it. This tara home amulet can emanate powerful rays of invisible golden light wherever you place it. This home amulet can keep your home safe even when you are traveling with it. 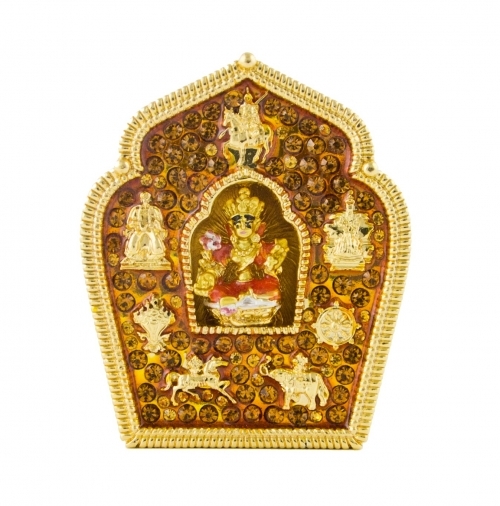 The dimension of the feng shui Golden Tara Home Amulet is approx. 2" x 1" x 2.5". It is made of metal.